Moon Presence (月の魔物 Tsuki no mamono lit. "Moon Demon/Fiend") is an optional final boss in Bloodborne. The Moon Presence can only be fought if you acquire and consume three of the four available One Third of Umbilical Cord items, refuse Gehrman's request, and then defeat Gehrman, The First Hunter. You don't have to have consumed the Cords prior to refusing - you can consume them after selecting "refuse", but before you defeat Gehrman. Similarly to the Gehrman fight, once you have consumed the cords there is no going back - if you consume the cords and refuse Gehrman’s offer you will have to fight the boss until you defeat it. If you are killed by the boss you will respawn in the Hunter’s Dream. Upon its defeat a cutscene will initiate and the game will end; you will then obtain the "Childhood's Beginning" trophy. The game will end and a New Game Plus will immediately initiate once you defeat the boss, so make sure to have all your affairs in order before attempting it. Gain 5 Insight for finding the boss and 5 Insight for killing it. An easy way to fight the Moon Presence is to stay in mid-range and lure it into its 3-hit combo. During the 3rd hit dodge into the attack (time this properly so you don't take damage) you should end up behind it and can manage 1-2 hits before it jumps away. Rinse and repeat. This is a much easier fight than Gehrman, but if you're out of blood vials you may want to let it kill you/use a Hunter's Mark to reset your blood vials to max. You will NOT have to fight Gehrman again. Periodically through the fight the Moon Presence will summon pale white balls which burst and rain blood in a medium-sized AoE. If you get covered by the blood, you will not be able to heal for a short period of time. It acts in a similar fashion to Numbing Mist. Gaze of the Moon is an AoE attack that takes the shape of a cone. It is a very unique type of attack in that it cannot kill you - it will, however, reduce you to exactly 1 HP. The attack cannot be dodged and your health will go to 1 regardless of any resistances, defences, your Vitality level or your HP before the attack. It can unleash a devastating amount of damage so take very special care when dealing with this attack. Keep in mind however that successfully casting this attack also causes the Moon Presence to become exhausted and therefore giving you time to plan accordingly and strike back. It is possible to get all your health back through rally after this attack due to the crazy long window where it cools off after the attack. Burial Blade in scythe form has very high rally, making it an excellent counter to this attack. By attacking the Moon Presence while it is exhausted and vulnerable, one can safely recover all of their lost HP. However, since Burial Blade is obtained from defeating Gehrman, this strategy is impossible to players in NG unless they use Bold Hunter's Mark or are killed by the Moon Presence so as to return to Hunter's Dream in order to purchase the weapon. Grab The Moon Presence will swipe twice then do a forward lunge grab. This attack is very easy to strafe around and get a free hit in. Swipe The boss will smash his right hand on the ground, and just after, use his tentacles to make a very fast swipe. It can be very surprising, but it can be very easy to dodge it by stepping back. Jump The boss will jump on you and try to smash you. This attack is very easy to dodge by sidestepping it. Usually you can land one or two attacks after the boss lands. Blood Moon Orb The boss will pop one pale white orb above its head, raining blood down on the player. If the blood hits you, you will be de-buffed for 20 seconds, and you will not be able to use Blood vials. Blood Clouds The boss summons pale clouds which rise from the ground as it attacks you. After a moment, these clouds burst and rain blood in their vicinity. Being hit by the blood prevents you from using Blood Vials for a while. Gaze of the Moon The boss will hold its face and release a burst of light. Those hit by this attack will be left with 1HP. It can instantly kill co-operaters with less than 30% health. Once its health is below 30%, this attack will also prevent you from using healing items. After this attack, the boss will be still for a few seconds; if there are no Blood Moon Orbs close to him, rush to the boss and land multiple attacks on him. It is possible to recover all of your HP by attacking the boss, as the window for recovery is huge. The fight with the Moon Presence begins immediately after you've beaten Gehrman, The First Hunter. Chances are you're probably low on blood vials and quicksilver bullets so the recommended tactic is to allow the boss to kill you or use a Bold Hunter's Mark to refresh your stocks (nevertheless, attempting to beat the boss with what you have is still a good idea if you are confident). If you're fighting Moon Presence, Gehrman won't have dropped any Blood echoes, so you don't need to worry so much about losing them. As with most of the bosses in the game, Moon Presence is weak to bolt and fire (arcane untested at this point) so bolt paper/fire paper, a fire imbued weapon or the Tonitrus leveled to at least +8 are recommended for this fight. While Moon Presence is very aggressive, the fight is much easier than the Gehrman battle. He will chase you down quickly, but his 3 hit combo can be easily dodged, allowing you to get behind the boss and score a quick combo. In fact, if you happen to be co-operating on this fight, the ends of the boss' tail can be hit, so if he is not focused on you, there is a perfect way to safely deal damage. Besides the combo attack, the main melee attack to be cautious of is his tail swipe. He'll spin on the spot and his tail will catch you like a mace, knocking you down. Fortunately, he doesn't come back to deal damage when you're on the ground, so get out of there quickly. About a third of the way into the fight he'll start using a cone attack. This has him stopping for a few seconds to charge and emanating a large red blast from his head. This is risk and reward with this. If you get close enough, quickly enough you can score a charged attack on him, staggering him and opening him up for a visceral attack. However, if you're caught by the blast you'll be knocked back and your health will be dropped to 1hp. The attack will NEVER kill you, but it leaves you incredibly vulnerable. As a trade off, he rests for a few seconds after the attack, so you can either back off and heal or get aggressive and gain your health back via regain. He'll also start secreting a black liquid from his tail. This is the downside of staying behind him. If you're caught in the liquid you're unable to use Blood Vials and therefore, unable to heal. If you're affected by this fluid then caught by the cone attack you're guaranteed to be in a bad position. Eventually it wears off so if you are on low health and affected by this, run and keep your distance until you can heal up. The appearance of Moon Presence resembles Nyarlathotep from various novels written by H.P. Lovecraft. 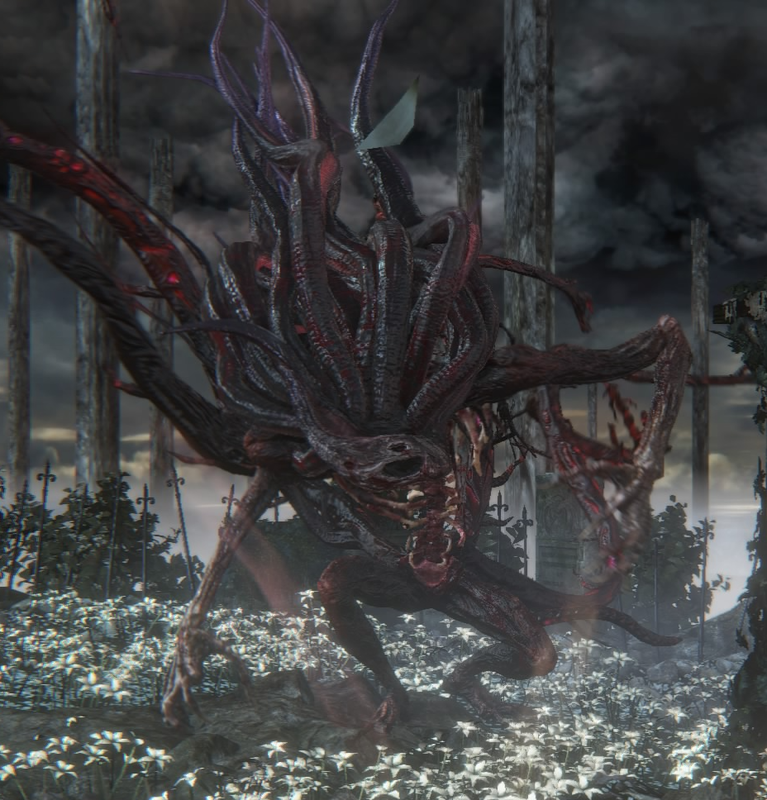 The Moon Presence, along with Mergo's Wet Nurse, are the only two bosses that give the message "Nightmare Slain" instead of the normal "Prey Slaughtered" (or the Japanese message "You Hunted"). In the DLC, this number increases to three with Orphan of Kos. There is a glitch wherein a summoned co-operator will appear in the cutscene where the host should be seen rejecting the Moon Presence's embrace. It is possible to defeat the Moon Presence, and still remain in your current game difficulty by using a hunter's mark just after you defeat the boss. Entering the area again, before the great tree will trigger the cutscene leading to new game plus. The song playing during the first phase of the fight is based on the Nameless Song from Dark Souls. The Moon Presence may clutch its face right before it begins to thrash. This could indicate a headache or that it's blinding herself. The Moon Presence may have another name: Flora. the doll has dialogue saying: "O Flora, of the moon, of the dream", and there is no other character named flora that the doll could know of that's related to the moon and the dream. this may also imply that the Moon presence is supposed to be female, as flora is a girl's name. Given the effects that the One Third of Umbilical Cords have on the Moon Presence, we can infer that the Moon Presence is what the game refers to as a "Great One". Fake Iosefka's dialogue during the Blood Moon may reference this: "How they writhe, writhe inside my head... It's... rather... rapturous..."
The Living String suggests that "Great Ones" take up a variety of forms, the Brain of Mensis being one of them. "... And when the Great Ones descend, a womb will be blessed with child. "; before entering the fight with Mergo's Wet Nurse, we see Yharnam, Pthumerian Queen, weeping. The bloodstain on her dress is more than likely a way of saying that she was pregnant. In any case, it's only logical that she must be weeping for her child, Mergo. We also witness Arianna give birth to an alien child that drops a One Third of Umbilical Cord, suggesting that for this "Red Moon", she was blessed with a child by a Great One. It's no surprise really, given the similarities between Arianna and The Queen (See Arianna's page for more detail). It's also possible that fake Iosefka was trying to become impregnated with a Great One, as she also drops an Umbilical Cord and seems to have been experimenting with those sent to her clinic. "Every great one loses its child, and then yearns for a surrogate..."; a surrogate is a replacement. The fight with Mergo's Wet Nurse suggests that something in the past resulted in the death of Mergo. The Moon Presence can be considered the true founder of the Hunt; it used Gehrman as a surrogate host to create the Hunter's Dream in order to undo the Great One's madness. If it weren't for its existence, the Hunt wouldn't exist, and the Hunter may have become yet another victim of the Beast Plague. Like the Brain of Mensis, the Moon Presence seems to be subject to rot and decay. There seems to be a kinship between the Moon Presence and the Silverbeasts. They are both capable of bipedal and quadrupedal movement. They both have the same exposed ribs. The slanted heads of the Silverbeasts may be an attempt to recreate the Moon Presence's unusual visage. See Moon Presence Lore for more. When co-oping with others do NOT stagger it if the cooperator is hit by gaze of the moon. It doesnt matter how much health they regain via rally or bloodvial, MP will more often than not spam a second Gaze for no reason and end up one shotting the targeted cooper. I killed the two bosses from upper cathedral ward, Gherman and this one first try in less than 1 hour (not to mention this was my first playtrough and i&apos;ve never playes any game from the series). Am I overleveled at 98 or not? I&apos;ve never farmed for blood echoes and just played the game normally so it feels kinda strange considering how people say they have to try countless time to kill a boss. Three words. Uncanny.Burial.Blade Find it in Ng,and then ********** up with +9. Did anyone noticed that Moon Presence have little wings like Ebrietas? It&apos;s a little hard to notice but there are ale it&apos;s located on it&apos;s back. Look on the cutscene when this boss is landing and going to grab the player. Regarding its "true name," I feel like both "Flora" and "Oedon" could be right. Oedon was once a formless Great One that soaked up the echoes pooled in spilled blood and took the form of the Moon Presence. Byrgenwerth and the Healing Church knew of the Moon Presence&apos;s existence, suggesting from the note in the Lecture Building, but they failed to understand that the being was actually the once formless Oedon. The Doll refers to the creature as "Flora" because of its deep connection to the flowers in the Hunter&apos;s Dream, which are raised on soil enriched with the blood of hunters past. This name is not recognized by any other characters. When you look at the art book, they make a pretty clear intention of slapping quotes about Oedon right next to concept art of Moon Presence. It&apos;s also kind of hard not to see the connections between descriptions of the Oedon runes and the Moon Presence. 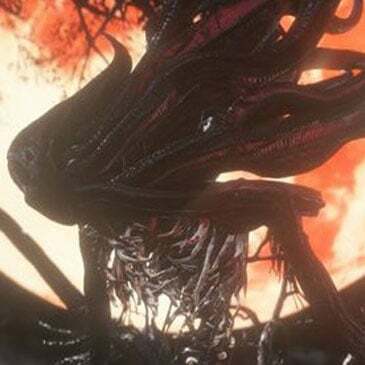 There&apos;s also the connection to Queen Yharnam, Mergo being a formless Great One, the Moon Presence resembling Blood Dregs, which in turn resemble the Yharnam Stone... which could also be Mergo&apos;s stillborn physical form... There are just so many red flags. I happened to be co-oping Moon Prescence with a friend, and I had 75% health from our previous fight with Gherman. I charged at it head on, and it immediately cast Gaze of the Moon. It one shot me. Didn&apos;t bring my health to 1, it just outright murdered me. Can that happen? Will GOTM kill you if your health isn&apos;t full? I&apos;m just wondering, because that encounter shocked me. They need to patch the Silencing Bell so the Beckoner can&apos;t send a co-operator back during a boss encounter. I keep getting sent back by people during the Moon Presence encounter, despite the time and resources I&apos;ve spent during the Gehrman fight on their behalf. Using Small Resonant Bell in the dream to co-op the final bosses for people. However, the last few hours, I keep getting summoned (along with many others I have seen) to some intentionally absent player ( the character name is j ). This is wasting mine and many other people&apos;s time, and stopping genuine Beckoner&apos;s from getting help sooner. My Player&apos;s Met option does not seem to refresh, so I cannot even block the player in the hopes of not being matched with them. Other than doing co-op for other bosses instead, or logging on another time, is there anything I can do to avoid this thing happening when I am trying to co-op with other players please? Word of warning: If you are using the Chikage, be prepared to sheath it very quickly. Will I have to find them again or am I good? Can i get the burial blade badge by killing the moon presence? i wasnt able to finish fighting the moon thing bc i was kicked into a ng+ before i could. 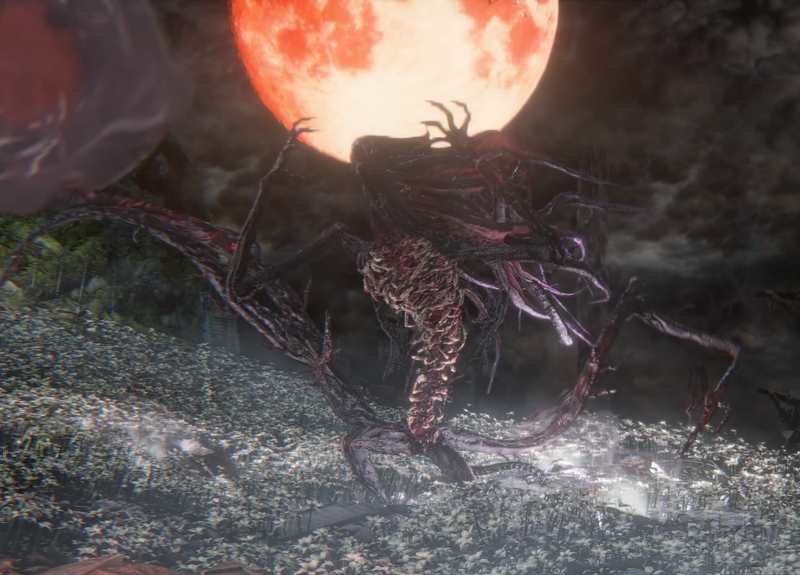 When I think of the Moon Presence, it gives it makes me have horrible memories of the Final Form Moon Presence in a cut chalice dungeon, that thing was a monster! So there I was doing my janitorial duties with my whirligig saw holding L2 to powerwash the floor Mr. Gehrman requested. Next thing you know some paper floats about and suddenly my saw becomes fueled by electricity. Anyway, I went about my business when suddenly this Moon Presence just jumps in front of my saw! Poor thing was shredded to pieces and just left more of a bloody mess for me to clean up. Most horrifying thirty seconds of my life. And then suddenly I was being cradled by a doll, but this time I was just a slime tentacle!!! But turns out I was just having a nightmare and woke up.